Wow. That is one pretty Hulk. Nice dress you have there Lady-Hulk. All of the girls are green with envy. Don’t smash my face in please. I was just kidding. 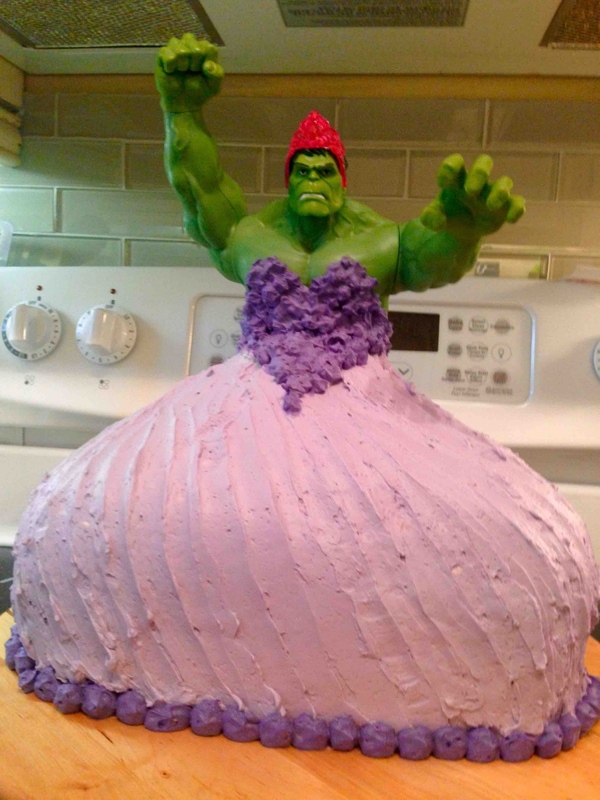 Redditor NobodyLikesASmartAss made this strange, yet awesome cake for his twin daughters who asked for a Princess Hulk cake for their birthday. Well, they got one, that’s for sure. That is one unique cake. You’ve never seen the Hulk like this. I have to say she, I mean he, looks “smashing” in that princess gown. He even has a nice red tiara on his head. The real question I have now is which Marvel character would Hulk take to the ball?